Pour blackberries into a pie pan and drizzle honey on top. 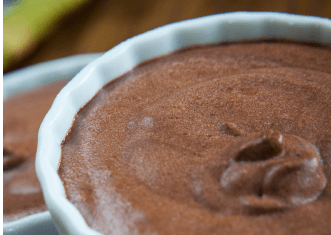 Mix the egg, coconut oil, and almond meal in a small bowl, then shake in some cinnamon for taste. This should be stirred well until the mix is thick. 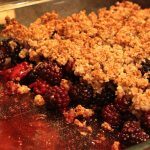 Crumble the ground almonds on top of the blackberries and bake for 35 minutes in the preheated oven. Serve with coconut milk poured over the crumble.